Are Smartphones Making Teens Unhappy? 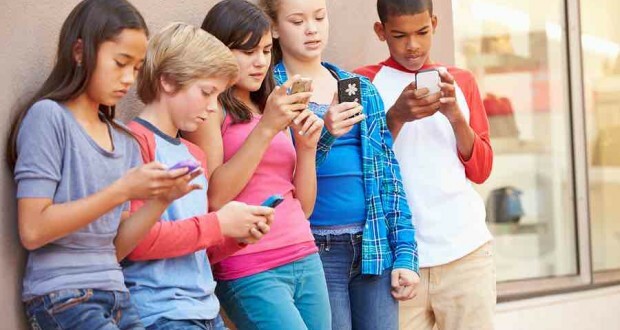 TIME Magazine recently published research on teens and smartphones in their story We Need to Talk About Kids and Smartphones. 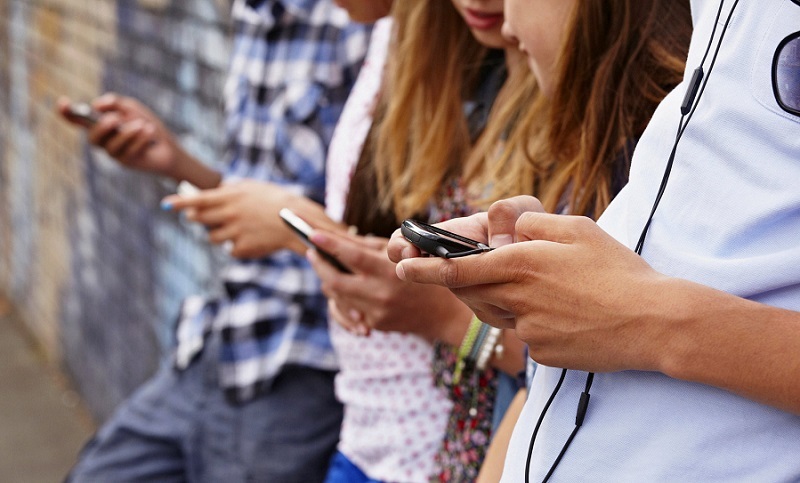 “Parents, teens and researchers agree smartphones are having a profound impact on the way adolescents today communicate with one another and spend their free time,” says Markham Heid, author of the story. From 2010 to 2016, the number of teens who reported experiencing at least one major depressive event increased by 60 percent according to research by US Health and Human Services. In addition, suicide deaths among people age 10 to 19 have risen sharply with suicide among teen girls reaching a 40-year high according to the latest data from the Centers for Disease Control and Prevention. Teens who admitted spending three or more hours a day on smartphones were 34 percent more likely to suffer at least one suicide-related outcome when compared to those who used their phones two hours a day or less. Jean Twenge, professor of psychology at San Diego State University, says “These increases are huge—possibly unprecedented.” Twenge is the author of iGen, a look at how today’s hyper-connected teens seem to be less happy or prepared for adulthood when compared to previous generations. Looking at teens’ online behavior since 2010, Twenge found that teens who admitted to spending a lot of time on social media were more likely to report mental health issues than peers who engaged in non-screen activities. Experts feel one of the primary contributing factors is perception vs. reality. Because much of what is presented on social media is artificial and filtered, it may often seem like everyone else has a better, more glamorous and exciting life. This inability to separate social media glamor from reality translates into anxiety for many teens. When you factor in that most teens are less filtered on social media than in person, it’s no surprise that cyberbullying is a constant concern. The issue isn’t simply emotional; it’s biological. The teen brain is less developed than the adult brain, so the lack impulse control is a factor in much of their behavior. 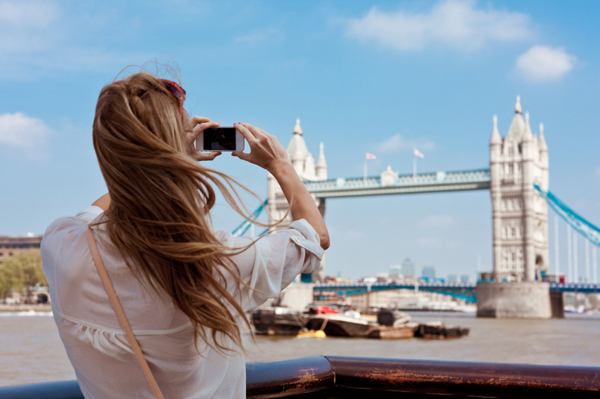 Scientists have linked boosts in dopamine levels to social media. Dopamine, the “reward molecule,” is usually released after certain behaviors or actions like exercising or achieving a goal. Applied to smartphone use, teens get that same hit of dopamine from a positive comment on an Instagram post as they do from acing a test or scoring a touchdown. This drives that compulsion to constantly seek online validation, which, when denied, can lead to moodiness and frustration. Read Heid’s full story here. There will be no #MobileLiving chat this Friday, November 3. We’ll be back next Friday, November 10 at 3 pm ET! I’m not talking about decoding an acronym like “btw” or “ttyl,” I’m talking about deciphering the emotion behind a text. Personally, I’ve wished for years developers would create a universal sarcasm font – someone get on that – but in the meantime, we have to depend on context clues, like the number of exclamation points or any emoji’s that have been included. But, what happens if it’s just text – no punctuation or smiling faces? Dr. Davis offers these helpful tips for interpreting text messages. Cultivate awareness of unconsciousbiases. In her research, Dr. Davis has taught teams of “emotion coders.” Through her work, she has enabled individuals on these teams to become self-aware and recognize personal bias. No matter how objective we try to be, like it or not, we bring our emotional baggage and experience into our interactions with others. By being conscious of your own bias, you can save yourself the misery of misinterpreting an innocent message. Explore the emotional undertones of the words themselves. Some words have clear emotional connotations – love, hate, cute, precious, disgusting, wretched – you know the emotion behind each of these words. However, if emotionally weighted words from opposite ends of the spectrum are combined in a single sentence, using the “bag of words” method may help uncover the meaning. Simply examine each of the words individually and weigh the number of positive emotive words against the number of negative to uncover the primary emotion being expressed. Explore your theory of emotion. We all have ideas of where our feelings originate from and how connected they are to each other. For example, anger is generally the response to three perceptions: fear, frustration, or hurt. Understanding this, we can see that anger is rarely a singular emotion. 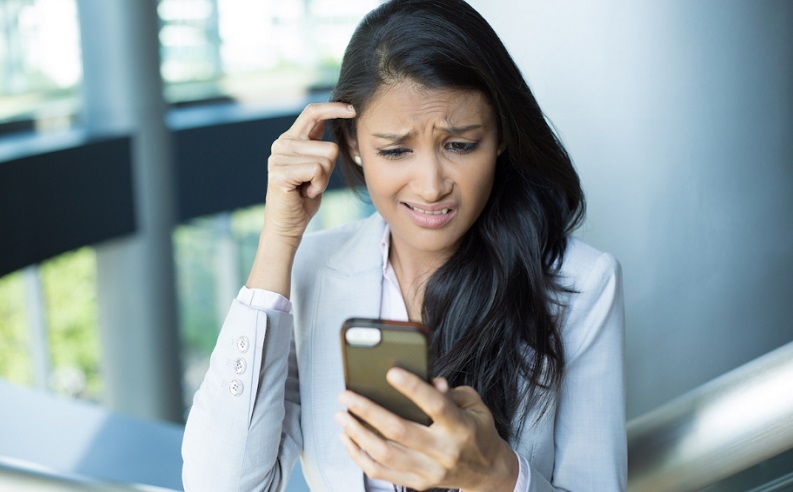 If in the text you recognize someone is angry, they’re likely also experiencing these other emotions as well, which can help you form your response. “I spent my career at Microsoft trying to imagine what technology could do, and still I wasn’t prepared for smartphones and social media.” So says Melinda Gates, entrepreneur and co-founder of the Bill & Melinda Gates Foundation with her husband, Microsoft founder, Bill Gates. If she wasn’t prepared for the magnitude of technology’s influence on her kids, what hope is there for the rest of us? Plenty. As we raise what demographers are calling “iGen”, I think it’s safe to say none of us could have anticipated the impact technology has had on culture, particularly on the way our kids are growing up. Being a teen today isn’t just vastly different from when we were kids, it’s very different from what it was even ten years ago. Facebook was created in 2004 but wasn’t mainstream for another couple of years, then Twitter showed up in 2006, Instagram in 2010, and Snapchat took over teen’s social media in 2011. To help navigate these often stormy waters, Gates shares the following suggestions to parents. Learn about the issue: The Atlantic recently ran a story with the sobering headline, “Have Smartphones Destroyed a Generation?”, and cautioned that while they’re “more comfortable online than out partying, post-Millennials are safer, physically, than adolescents have ever been. But they’re on the brink of a mental-health crisis.” There are several studies linking social media and stress for teens, but using these guidelines, parents can help their teens manage some of that anxiety and peer pressure. Unplug: The Gates’ don’t allow cellphones at the table. Steve Jobs was a low-tech parent. Surprised? I was. Like most of you, I was sure the Jobs’ home looked like a real world Smart House but in reality, he restricted the amount of time his kids spent online and on devices. Instead, both recognize the importance of face-to-face interaction, imaginative, real-world play, and the value of simply flipping the off-switch sometimes. Have Tough Conversations: Whether it’s talking about issues like cyber-bullying, sexting, racism, sexism, ageism, homophobia or any of the other myriad of social issues that are rampant online, take the time to engage in honest, heart-to-heart conversations about the impact these issues have in the real world, to real people. Introduce them to resources like The Crisis Textline that offers 24/7 support. Advocate for your kids: As your teens transition from high school to college, make sure they not only have the technology they need to succeed but the resources and support as well. USA Today featured a two-part story here and here regarding the overwhelming number of college students struggling with mental health and the mental health crisis on U.S. college campuses. The Center for Online Education offers this list of mental health resources for students. Make a Plan: It’s important to outline boundaries and expectations for technology use and one of the simplest ways is through a Family Media Contract. It will look different for every family, so customize it to suit your needs. There will be no #MobileLiving chat this Friday, October 13. We’ll be back next Friday, October 20 at 3 pm ET! 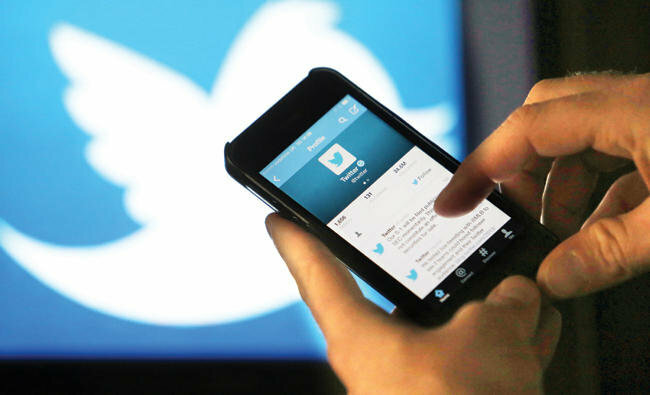 Last week Twitter announced it would be increasing the number of characters allowed from 140 to 280. “This is a small change, but a big move for us. 140 was an arbitrary choice based on the 160 character SMS limit. Proud of how thoughtful the team has been in solving a real problem people have when trying to tweet. And at the same time maintaining our brevity, speed, and essence!” wrote Twitter’s chief executive Jack Dorsey in an expanded, new-format tweet. Apparently, the decision was based on research by Twitter that found users can communicate twice the amount of information per character in languages such as Korean and Chinese, as opposed to English, Spanish or French. Since it was founded in 2006, Twitter has limited the character count to 140 characters. Last year, they made an exception for quote tweets, or tweets that included a photo, GIF, video or poll. Any time Twitter has made changes, there’s been a level of backlash from users. Switching to an algorithmic timeline, removing Twitter handles from replies, and switching from a star icon to a heart to “like” a Tweet have sometimes resulted in users pushing back. Twitter is currently beta-testing the new feature with a select group of users users before deciding whether to launch it to everyone. “Although we feel confident about our data and the positive impact this change will have, we want to try it out with a small group of people before we make a decision to launch to everyone,” Rosen said.